Large - $24.99 Only 6 left! Usually when you're scared, you grab your teddy bear because the soft plush toy is comforting and sweet...usually. This teddy bear is not your typical stuffed animal, in fact it's very different. He doesn't want your hugs, your kisses, or any affection whatsoever. This bizarre bear wants to scare people and he's hoping that you'll be his partner in crime. What kind of activities will you and your evil bear buddy get into? Well, you'll just have to wait and see! 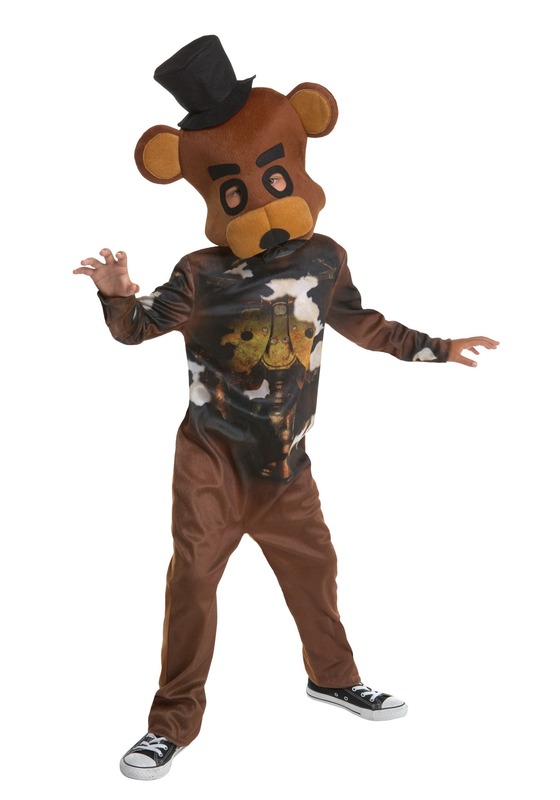 Better yet, dress up in this horror teddy bear costume and let the nefarious shenanigans ensue...we bet it will be the stuff that nightmares are made of. Little ones who prefer the paranormal over playing with plush toys will love dressing in this horror teddy bear costume. It's a unique costume which consists of a soft jumpsuit which has a metal skeleton design on front. The plush headpiece is what really sets this costume a part from regular teddy bear costumes. The soft mask features a bowtie and a top hat making him appear like a dapper evil plaything. There are holes in the mask so kids can see out easily.You'll love watching your child trying to be scary when he's dressed as a horrifying teddy bear!